CHEO needed to raise 19 million dollars. This campaign was geared towards affluent philantropists. Scott was responsible for the creative direction, art direction and graphic design of CHEO's major gift camapign. In order to create a positive message it was decided that the creative would focus upon CHEO's success stories. We contacted a diverse group of past CHEO patients and they beacame the spokepeople for this campaign. We spent a day in the studio with them, working with Ottawa photographer Phillipe Launderville. The result was an uplifting series of simple, inspirational black and white photographs. These photographs were used as 15m high banners on the side of the hospital, posters that lined the halls of all campaign fundraising events, on all print collateral and every piece of camapign communication. 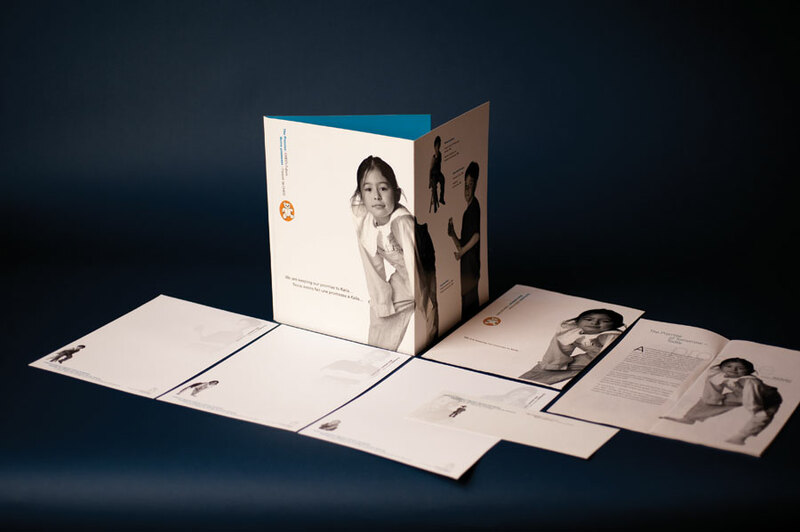 As there were multiple points of contact with each potential donor throughout the campaign, an integrated set of camapign stationary was created that featured several letterheads, with a different patient on each one, so that a potential donor never receieved a message on the same letterhead twice. The result was well integrated, cohesive camapign, that acheived the campaign goals with in one year. This campaign became a template for several similar campaigns over the years.